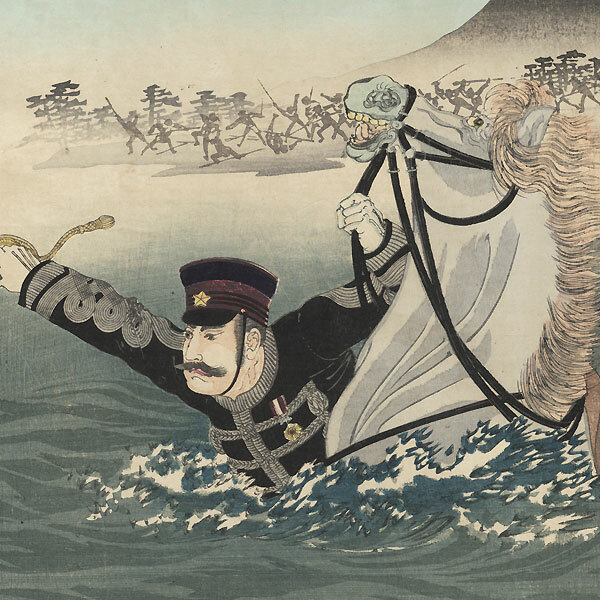 Comments - Terrific scene of Lieutenant-General Nozu leading troops across the Yalu River during the Sino-Japanese War. 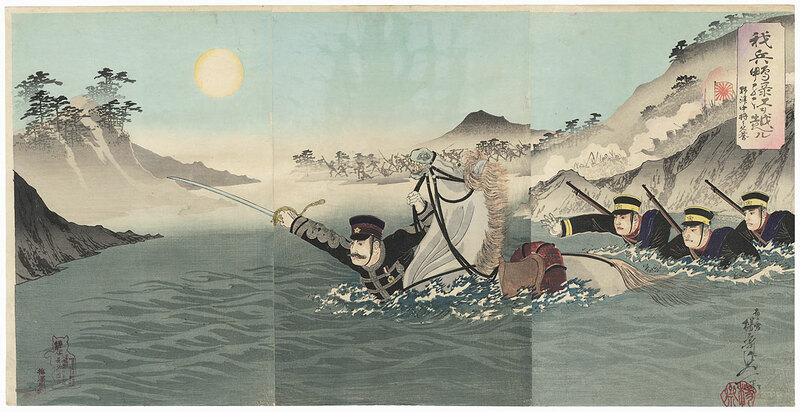 He plunges ahead with his sword thrust out, gripping the reins of his horse as the animal struggles through the chest-deep water. Three soldiers follow behind, their guns strapped to their backs. 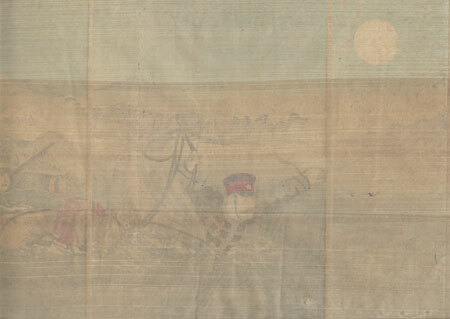 A full moon glows in the hazy night sky, the figures of troops fighting on shore seen in gray silhouette. A beautiful atmospheric setting. The Boston Museum of Fine Arts has this image in its collection. Condition - This print with excellent color and detail as shown. Three attached panels, backed with paper. Slight toning and soiling, a few marks and stains, slight rubbing at edges. Please note: due to the size, this print may be shipped rolled. Please see photos for details.